Where I stayed: In Madhya Pradesh's Parsili, Rewa, Panna & Khajuraho ~ The Wandering Soul's Wander Tales..
Few weeks ago I went exploring Madhya Pradesh's various kingdoms, wild and historic both. Starting with the impenetrable jungles of little-known Sanjay National Park in Parsili, I reached the crumbling ruins of Baghelkhand dynasty's forgotten legacy next. If these offbeat corners satiated the sense of exploration that we so seek from travel, the well trodden trails of Panna and Khajuraho offered a balancing respite from uncertainty. You can see all the places we travelled to and the things we saw in this post - In Photos: From Popular to the Offbeat, north-eastern Madhya Pradesh's diverse charms. Coming to the logistics of travel, here's where I stayed through the one week trip across Madhya Pradesh in collaboration with HolidayIQ and MP Tourism. Panna National Park has two entry gates, one at Madla and the other one is at Hinauta. While both the gates are almost equidistant from the town of Panna, Madla is probably the more comfortable option of the two since this falls right on the Highway 39 on the way to Khajuraho. 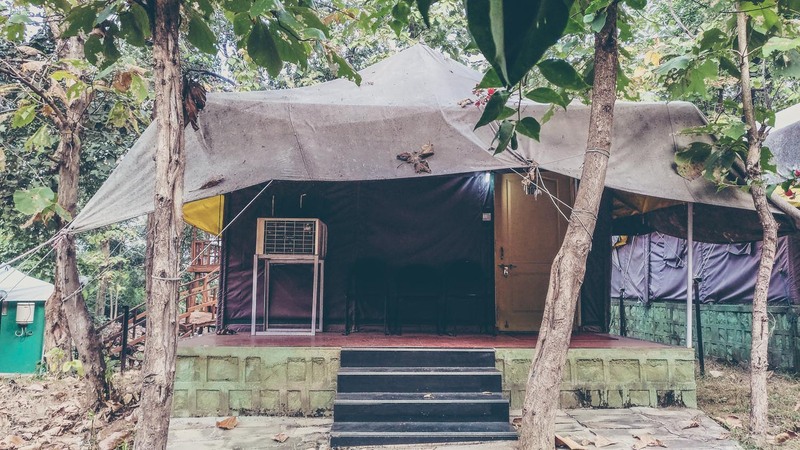 Madla Jungle Camp, run by MP Tourism Department, scores big points on account of its enviable location – it's situated right next to the Madla safari gate. Built in a jungle camp style with 9 well-appointed Swiss Cottage tents, the serenity of the adjoining forest spills over generously into the camp. Wildlife safaris with their long bumpy rides and ungodly wake up calls can be terribly tiring, which is why I loved being so close to the gate. You can peacefully wake up at 5.30AM and still be on time at the gate for the safari. The tents are quite comfortable, air-conditioned and there's hot water facility along with Cable TV and minibar. Gadget junkies will be glad to find there are at least 3 separate plug points in the rooms (more if you remove TV/Fridge connections). Me and a friend were sharing a room and it was so convenient to charge multiple devices without worrying about schedules and alarms to switch devices put on charge. Also, there's WiFi only at the reception. Madla Jungle Camp is a no frills camp, neatly maintained with friendly service and simple Indian food. Khajuraho's temples are primarily divided into the Western and Eastern complexes. Most of the hotels are located on the road towards the airport, around western complex, making it a bit crowded. Syna Heritage Hotel, on the other hand is located away from the bustling centre of Khajuraho in a quiet but vast corner. It's a short drive from both Eastern and Western group of temples by vehicle, and it's an added bonus that it's at a perfectly walkable distance from Western group. 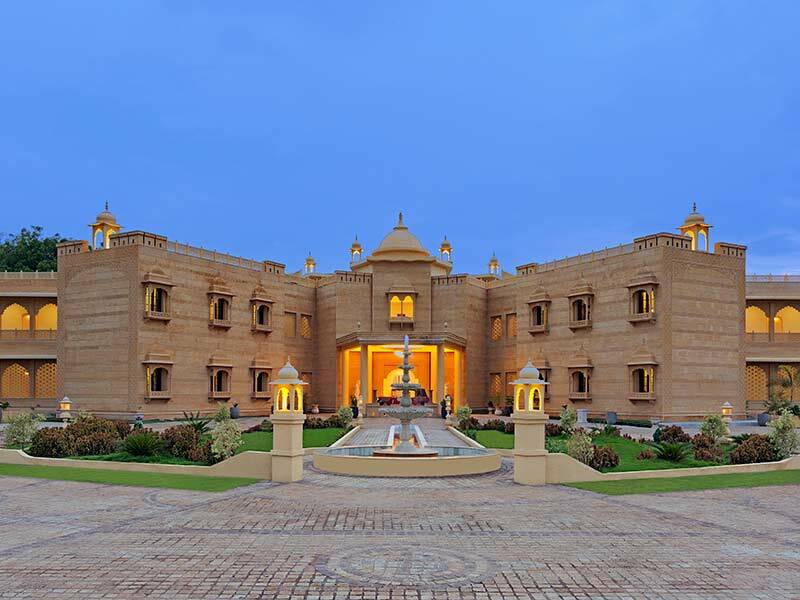 The hotel is designed to incorporate traditional motifs in such a way that it evokes memories of royalty with its vintage cars, vast hallways fitted with latticework and rooms with jharokas as windows. The hotel looks opulent from the outside but the rooms are a bit disappointing when it comes to design. Comfort wise, they are fine, but with all the attention to detail in the interiors in other areas of the property, I expected the rooms to carry a bit of the traditional ambience too. From the inside, the rooms are like any other hotel, plain and simple with adequate modern fittings. I shared a super deluxe room with a friend and it was weird that we were given a room with a single queen-size bed. Not sure if they have double rooms with twin beds but do ask while checking in. Also, the walls are quite thin, so be prepared to hear everything that happens in the next room and in the hallways. Or get yourself some earplugs for the sake of your own sanity. There's a spa inside the property which I didn't get to try and the swimming pool looked quite inviting. The restaurant is adequate and serves Indian and Continental dishes. Overall, Syna Heritage is one of the better places to stay at Khajuraho with friendly and attentive staff, offers great value for money. For those intending to visit the newly opened jungles of Sanjay National Park, Parsuli Resort run by MP Tourism department is the only available option for accommodation. 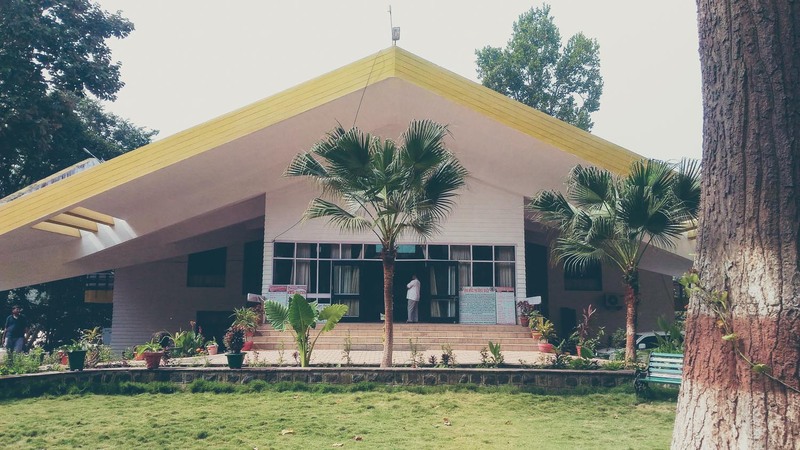 Situated amidst dense forests, right along the banks of Banas River, Parsuli Resort has an air of cosiness around it, with a single yellow-roofed building that houses no more than 5 rooms in all. It's situated at a distance of 11km from the national park gate and I should tell you that none of our phones caught any signal here. It's truly a hidden retreat. The location is spectacular, you can actually hear the pleasant sound of river flowing even inside the room. We stayed in the Deluxe room which is the largest of all and is very spacious with even a sitting section inside the room. The crowning glory of this room is the large balcony that it comes with, which has a direct view of the river and mountains beyond. If you can choose, ask for this room, highly recommended! Coming to the room itself, it's clean and comfortable. The staff is friendly and courteous. There were still some ongoing constructions at the time of my visit(Nov 2016) but it probably will be sorted out by the next season. They serve simple Indian food and there's a nice provision for a bonfire by the river side, which I'm guessing should be quite inviting during Madhya Pradesh's harsh winters. Overall, a nice property to stay at by the riverside. Rewa is a small town, once historic, but now crumbling under the weight of negligence and bad memory. The town is littered with forgotten monuments that once were in the thick of the action but today there isn't much infrastructure here to enable a glimpse into that past apart from a fast-deteriorating fort, a badly maintained museum of Baghelkhand's treasure and Govindgarh Fort that's at a short distance. If any of these things bring you to Rewa, your options for stay are limited and Safari Regency is one of the few adequate hotels available. Situated right by the market, in close proximity to Rani Talab and the Baghel Museum, the hotel provides a decently clean room. The rooms all seem recently renovated, so they're convenient but the toilets hasn't been renovated. They look worn out and are barely tolerable. Would've been good if the toilets were renovated too but it is possible to get by somehow. Nothing to write home about but Safari Regency is a business hotel offering decent services with well equipped rooms for affordable prices in a small town. safariregency is really affordable hotel. I have an experience in staying there. do u have photos of that jungle camp room? You can see the gallery in the link I provided in the article next to the jungle camp. Thanks for sharing great, inspirational and very informative travel story.